Beauty is a form of art. Just like other forms of art, you need the best, most skilled artist to bring out the very best in your personal beauty. Facial spas are known to offer excellent treatments for many different skin conditions. A quality establishment should be able to transform your look from top to bottom and make you feel relaxed and refreshed. For this reason, you need to find a Hollywood facial spa like Face of Jules that not only leaves your face glowing, but also transforms the way you feel about yourself. Providing effective and affordable treatments, Face of Jules has quickly become the top facial spa in Hollywood, California. Whether you live in the area or are just visiting, you need to put your best foot forward. Hollywood is a city rich in beauty and fashion. At Face of Jules, our friendly, experienced esthetician Julia focuses on giving you a look that meets your beauty goals and helps you stand out from the crowd. Our aim is to revitalize your skin and make you feel better than ever. We work tirelessly to ensure that all our clients leave our facial spa with their expectations exceeded. Schedule Your Appointment at our Hollywood Facial Spa! In general, a spa is a place that people visit for a variety of skin treatments. As the name suggests, a facial spa primarily, though not exclusively, focuses on the face. At our conveniently-located facial spa in Hollywood, CA, you will be taken through several steps to attain the final desired results. 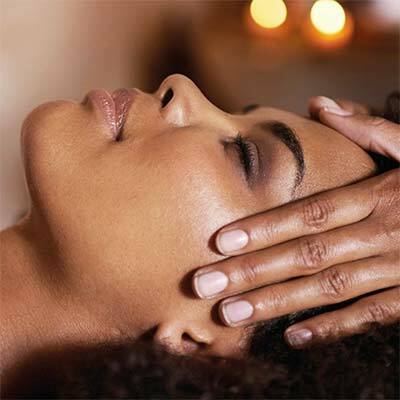 The facial spa treatments we provide our clients will help you in many ways. First, the treatments clean and exfoliate, removing dead and dry skin. If you feel that your face is waxy or clogged, the best place to get treated is at a facial spa. Many people visit spas to get rid of blackheads, whiteheads, wrinkles and other undesirable skin features and conditions. However, there are those who visit facial spas just to relax and be pampered. As a leading Hollywood facial spa, Face of Jules offers an array of comprehensive facial treatments for both women and men to take advantage of. Before we perform any type of treatment on our clients, we conduct a thorough skin analysis. Julia will take the time to carefully examine your skin and discuss any issues with you. It is important for us to know your skin type and detect any skin conditions before we start treatment. After analysis, we commence with the facial spa treatments. A lot of our female and male clients come to us for our signature facials. There are many options to select from that range in duration and particular techniques used. These Hollywood facial spa treatments include the Glow and Go Facial, Custom Superfood Facial, SilkPeel and the Garden of Youth Signature Facial. All of the facials are results-driven, and will thoroughly reinvigorate your skin. When you leave Face of Jules after one of our signature facials, you will look amazing and feel great inside and out. When you purchase prepaid packages of facial treatments with us, you’ll receive generous discounts. Besides the signature facials, Face of Jules also offers additional facial spa treatments that are excellent for healing your skin and managing a variety of frustrating skin conditions. These treatments include microdermabrasion, microcurrent and dermaplaning among others. Please don’t worry if you’re not sure which therapy or therapies to choose. Julia will come up with the perfect treatment plan for you that fully takes into account your skin conditions and beauty goals. All you need to do is relax and enjoy. Exfoliation is a critical aspect of facial care, and as such we use time-tested exfoliation techniques to assist our clients. Julia uses safe, effective chemicals to soften the skin and remove dead skin and toxins. In addition to enzyme exfoliation, we also perform mechanical exfoliation. Mechanical exfoliation requires tools with a gritty texture to gently yet successfully rub away the top old layer of skin. We will determine the kind of exfoliation procedure that is best for you during the skin analysis stage. Extractions at our facial spa in Hollywood involve the removal of blackheads and whiteheads. Sometimes, the process may be slightly uncomfortable. Our esthetician Julia will do everything in her power to make you feel as comfortable as possible during the procedures. If done improperly, extractions may lead to discoloration and broken capillaries. That is why it is important to visit a professional facial spa like ours where we have the training and experience to get the work done carefully and safely every time. There are many advantages to coming to our Hollywood facial spa. Julia at Face of Jules has a tremendous amount of experience, knowledge and dedication, and has helped countless women and men greatly improve their skin over time and often in just a few visits. Please take a look at our client reviews to read about actual experiences of people that have come to Face of Jules for skincare assistance. Our reasonably priced and highly-effective facial spa treatments provide tremendous value, and once you come to us you’ll never want to go anywhere else. Face of Jules provides a very comfortable and relaxing environment in which everyone is welcome. Additionally, when it comes to your skin it is vital to work with a professional like Julia. The last thing you want is to experience skin damage or other negative effects from improper treatments. As the best facial spa in Hollywood, we pay careful attention to your skin health and well being. We have the top esthetician in Julia, and use industry-leading equipment, skin care products and techniques in our treatments. We work hard to ensure that you have flawless skin that will give you confidence when facing the world. Our facial spa treatments are sure to wow you. Please feel free to contact us any time with questions or to schedule your appointment. To experience the top Hollywood facial spa, contact Face of Jules today. Call us at (310) 770-8730.